Good engineering solutions in a service-oriented manner. Even as power projects across Southeast Asia continue to grow and diversify, power engineering consultancy firm OWL Energy is showing how it is not just able to keep up with the changes, but is also proactive in helping clients keep abreast with industry developments. Clients for these projects have ranged from the large utility/global independent power producers (IPPs) to large conglomerates that have never looked at the power industry before and see it as a good market to enter, Segadelli also notes. For example, OWL Energy was engaged by a company in the Philippines that owns restaurants, mines and bookstores which has significant cashflow, and was looking at LNG facilities to invest in. In Myanmar-based projects, they are helping local companies and global entities as they seek to explore this developing market, to select the viable projects and then focus on their development. “One area that has changed in the last 12 months is that I am traveling a lot more. Singapore is a destination I often visit because there are a lot of regional investors and lenders there. However with ASEAN being 50 this year I will be celebrating by visiting all 10 countries,” he adds. For the remaining half of the year, OWL is looking to further increase its presence around SE Asia. In Thailand, for instance, the focus is shifting to combine intermittent and baseload supplies. In the Philippines, OWL will be expanding their abilities to provide project services to operating plants, those requiring repowering, and to the smaller hybrid systems that are becoming more economic as technologies combine to offer cost-effective alternatives to the traditional diesel generators. 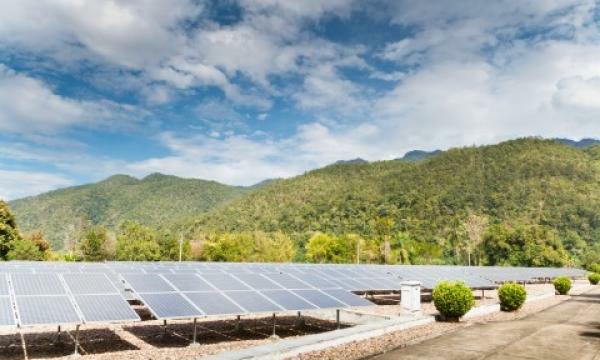 Myanmar requires all forms of power generation including coal and solar, while Cambodian initiatives for the company will be largely focused on solar. Short-term future plans mainly involve continuing the company’s strong engineering capability, flexibility and service focus. OWL Energy will also focus strongly on investment hotspot Myanmar, where they have some strong early wins including Lenders’ Engineer on the first IPP projects to be truly project financed. “On the technology front we will be focussing on tackling technology developments, such as battery storage, as they are introduced in the region,” says Segadelli. He is unfazed with observations on the strong consolidation in the engineering consulting sector at the moment. Even in the presence of global monoliths, OWL strives to aim for quality projects, client service, and undeniably strong record in seeing projects from start to finish. “OWL is all about focussing on being a local power engineering consultancy with a global outlook and reach. We are ISO9001 accredited, unlike most local firms,” says Segadelli.